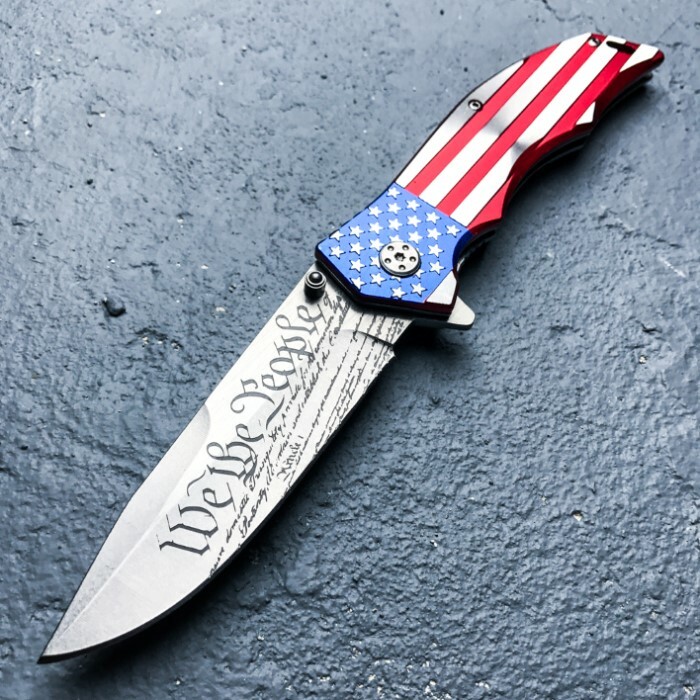 MTech "We the People" Assisted Opening Pocket Knife - US Constitution Blade Etching; US Flag Handle | BUDK.com - Knives & Swords At The Lowest Prices! 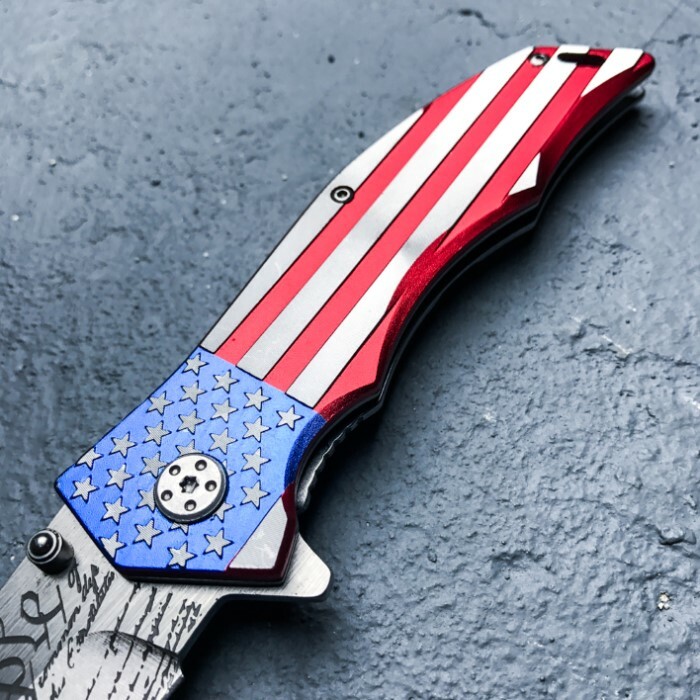 MTech USA's vividly colored, exquisitely detailed "We The People" Pocket Knife embodies patriotism with an edge - a razor sharp edge! 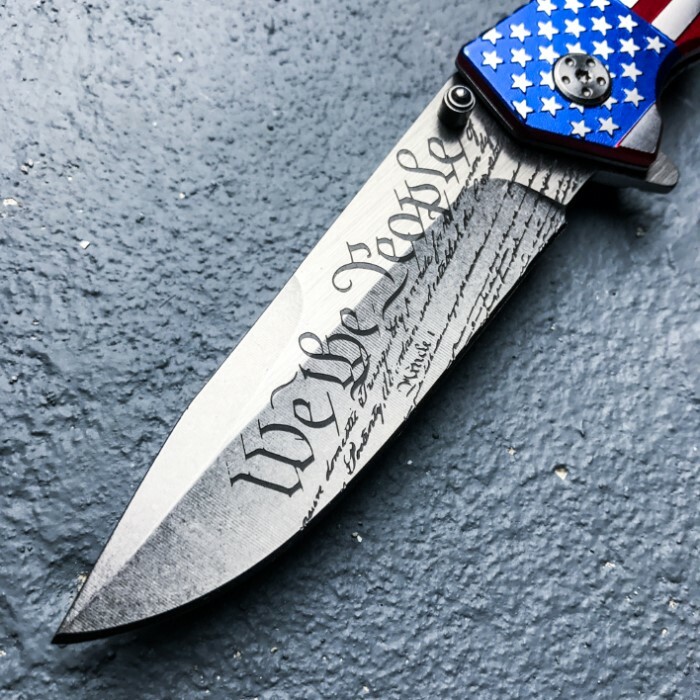 Its 3 3/4" stainless steel drop point blade is carefully laser etched with "We the People" and other text from the iconic preamble to the US constitution, exactly as it appears on the original document. Each mark and line delicately reproduced, the etching is a genuine mirror image of that immortal, storied piece of parchment penned by the founding fathers in 1789. Fast, one-handed blade deployment is easy, thanks to MTech's advanced assisted opening mechanism. The patriotic theme continues onto the tough anodized aluminum handle - richly colored red, silver and blue in a bold stars-and-stripes motif. 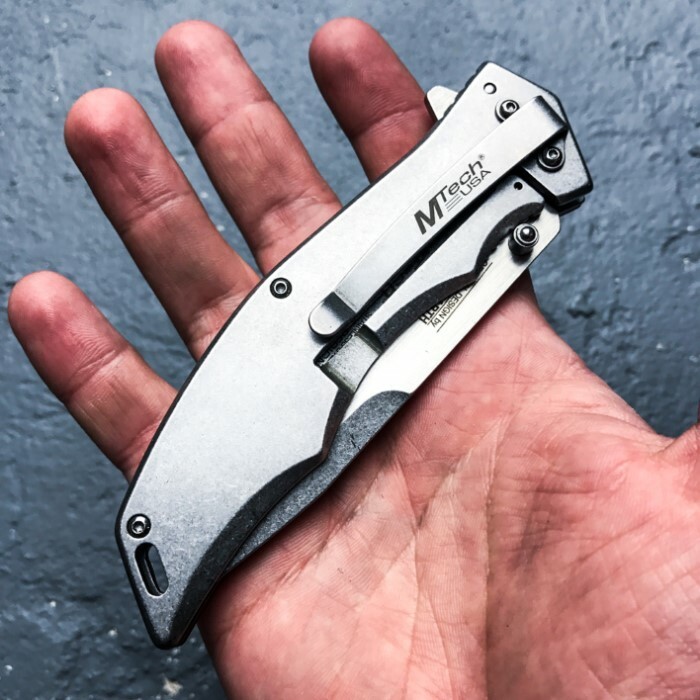 MTech's "We the People" folder is an instant eye catcher wherever you showcase it, and the built-in steel pocket clip makes it easy to securely transport it anywhere. 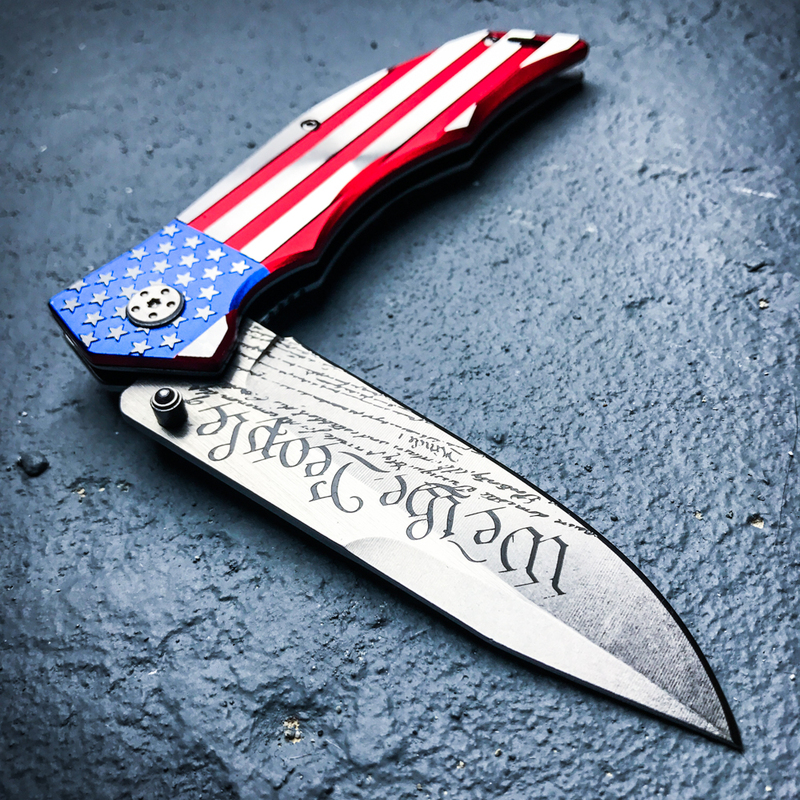 With such breathtaking all-American style and allure, and reliable cutting power to boot, you won't be able to decide whether to display it or utilize it as an everyday carry. Get two - one to carry and use, one to showcase! Surprisingly affordable, it's easy and won't dent your budget. Don't forget a third to gift to a friend, family member or any fellow American patriot! Knife looks great and opens fast. Came relatively sharp but did require some edge work. Satisfied with this knife.